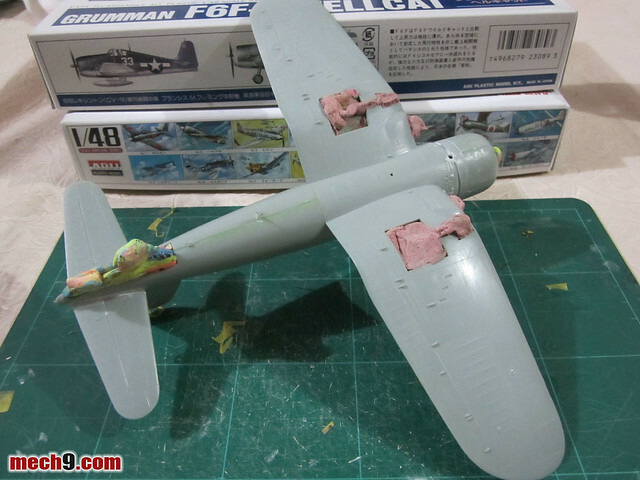 Had some time the past few days to continue my build of the 1/48 Arii Chance Vought F4U-1A Corsair. 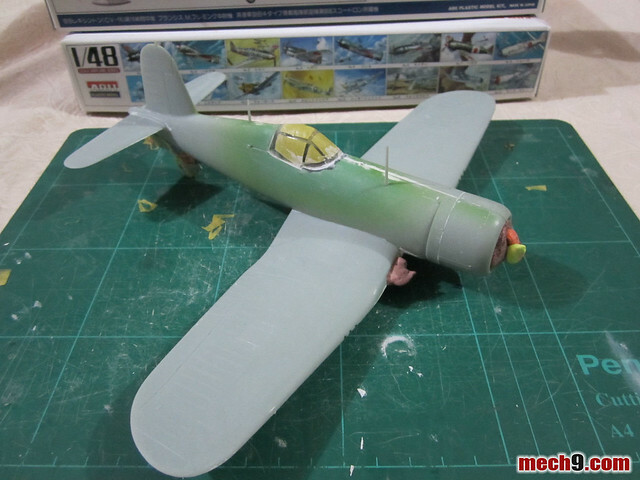 At this point I had finished building the main fuselage and prepped it for painting by applying some masking. Prior to the masking, I worked at filling in the seam lines that I could visibly find in the model kit and covered it up with some water based construction wall putty. Like I mentioned in my previous post on this build, I'm using the off the shelf putty because that is what I have on hand. 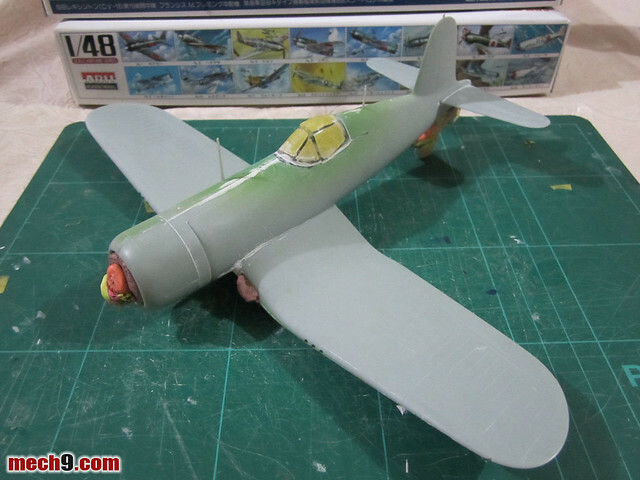 There are other scale model use putty's in the market right now, if you have the cash and the access to the supply, I'd recommend getting that instead. For the masking I used Tamiya Masking Tape for the canopy then some colored blu-tack for the parts that I didn't want any paint on. After letting the the putty dry for a day I proceeded to apply some TOA/Wins Plastic primer on the kit to prep it for painting. After letting it dry, I noticed that there were a couple more seamlines that I haven't covered up. I just got some super glue to fill in those minute cracks between the parts. 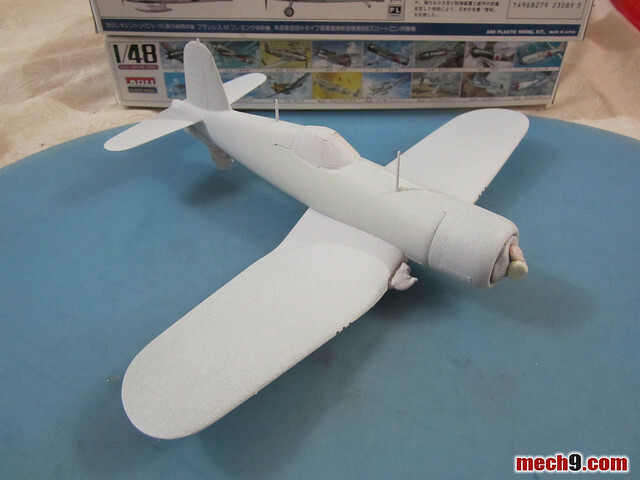 After completing this step, I had a thought that I should go instead to building the 1/48 Arii F6F-3 Hellcat. That way when it comes to painting these scale model kit I will be more efficient in the paint use by painting these two together. Part I of this build can be found here.